Bing Liu, distinguished professor in the Department of Computer Science at UIC, was recognized with a Test of Time award for a seminal paper about detecting fake online reviews. The Test of Time award recognizes an outstanding paper published more than 10 years ago that is still relevant today, even in the rapidly changing world of web search and data mining. The paper, “Opinion Spam and Analysis,” was co-authored with Liu’s former Ph.D. student, Nitin Jindal, and was first presented at the First ACM International Conference on Web Search and Data Mining (WSDM) in 2008. Liu and Jindal set out to answer the question: are opinions on the web trustworthy? They wanted to detect deceptive or fake information, especially website reviews. “I asked an MS student to look around and see if something was fishy. He went to Amazon and on the second day said yes, he had already found some stuff,” Liu said. By using data mining and machine learning algorithms, they began to detect clues: reviews laden with praise, reviews copied or borrowing heavily from another review, or a prolific reviewer praising multiple, and often disparate, items. In total, their research in 2008 revealed that 60% of the product reviews they found on Amazon were five stars, and an additional 20% were four stars. Liu estimated that in those early years, one-third of all consumer reviews were probably fake, though discerning whether the fake reviews were written by marketers, customers who may have received a discount for posting the review, or were third-party created content was almost impossible. While today online reviews are usually viewed with a jaundiced eye, this paper was the first-ever about this topic and garnered Liu and Jindal a lot of press attention starting in 2011, when the general public started to be concerned about fake reviews. Liu said that while companies are self-policing in an effort to keep online reviews legitimate, fake reviews are still commonplace, and some companies still blatantly solicit positive reviews on social media. “It’s still going on, and it’s surprising that companies are openly doing that,” Liu said. 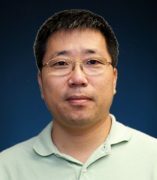 Liu has moved on from the research program of fake reviews and opinions and is now focused on natural language processing and lifelong machine learning. The Test of Time award was presented in February at the 12th ACM International WSDM Conference in Melbourne, Australia.